Sometimes when you enter a bookshop and lose yourself to browsing, magic happens, you stumble across a book by accident, no idea why you have been drawn to it but this book will make an indelible mark upon you. 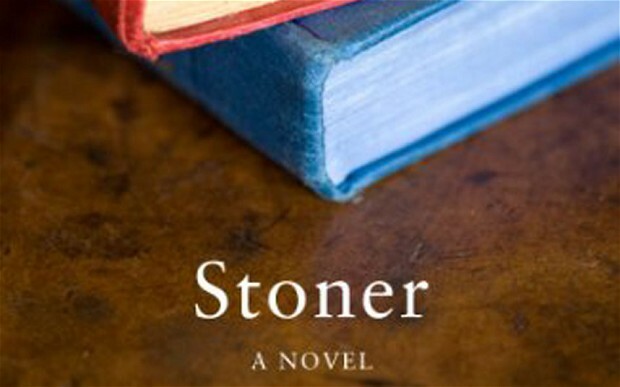 So it was for me recently when I came across Stoner by John Williams. I’m not sure what drew me to the book but what a novel this is, a book of such quiet beauty and power, beautifully written, but also one of the saddest books I’ve ever read. Dispassionately, reasonably, he contemplated the failure that his life must appear to be. He had wanted friendship and the closeness of friendship that might hold him in the race of mankind; he had had two friends, one of whom had died senselessly before he was known, the other of who had now withdrawn into the ranks of the living. He had wanted the singleness and the still connective passion of marriage; he had had that, too, and he had not known what to do with it, and it had died. He had wanted love; and he had had love, and had relinquished it, had let it go into the chaos of potentiality. However there is another angle to all of this which perhaps we should all reflect on, Stoner had stoicism and integrity that he acted upon all his life, he had a life long friendship, found love (both physical and intellectually through his love of literature) he worked all his life at a job he loved and escaped the grinding poverty of upbringing. How many of us can say the same ? I think what is particularly remarkable about this book is that whilst the period of Stoner’s life covers some of the greatest upheavals of the twentieth century via the great depression and two world wars, by looking at the minutiae of Stoner’s life you realise that we all have our triumphs, tragedies and disasters and that it is these that perhaps have a greater effect on us and shape us opposed to the world events that we live through. The writing throughout the book is hypnotically simple and beautiful, it goes along with Stone’s character but at the same time a picture is painted of the seasons changing as life goes on within the university. The university is depicted as an asylum there to keep the real world out while providing sanctuary to those who would struggle to survive or fit in to the world outside it’s gates. Ultimately this book is about two things for me Love and Work, Love in all it’s forms from finding a love of literature and it’s ability to accompany us through life’s journey through to finding love in another human being, the love contained within a life long friendship and a love of work. Stoner gets up every day throughout his life and goes to work, initially on the farm and then in the lecture theatre, he never ceases to learn and never complains even when his integrity means that his working life is made intolerably difficult perhaps because he loves what he does, he loves literature and teaching and he hopes to find the spark to inspire others as he was once inspired. Perhaps this is what Williams is aiming at with this book to emphasise the power of love in all it’s forms and the remarkable ability of literature to inspire. This is a truly astonishing book that I cannot recommend highly enough. Wonderfully written review. I feel you enjoyment in the read.